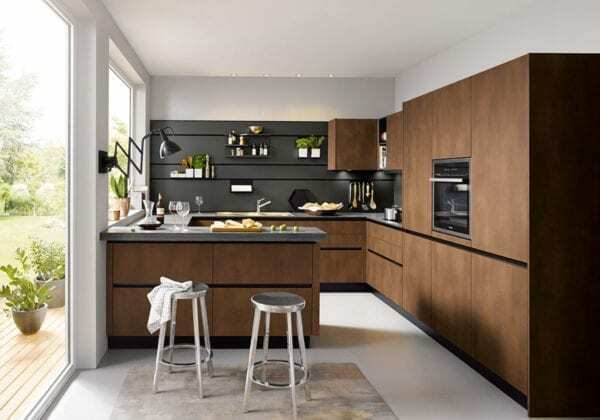 The satin lacquer finish is created using the innovative water-based Dual Cure lacquering system with no solvent-based lacquers. 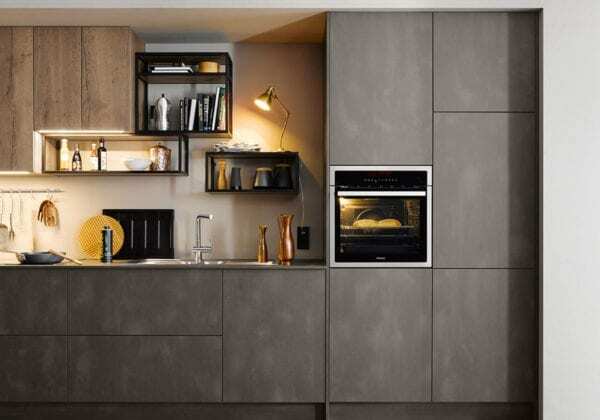 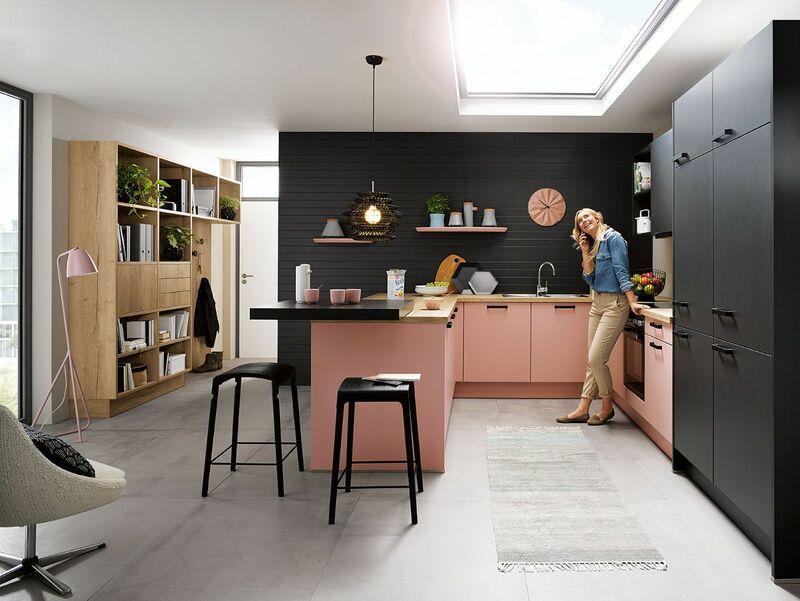 The Dual Cure system with UV drying means the kitchen doors exceed the standard requirements of scratch and chemical resistance making it capable of withstanding high wear and tear in everyday use. 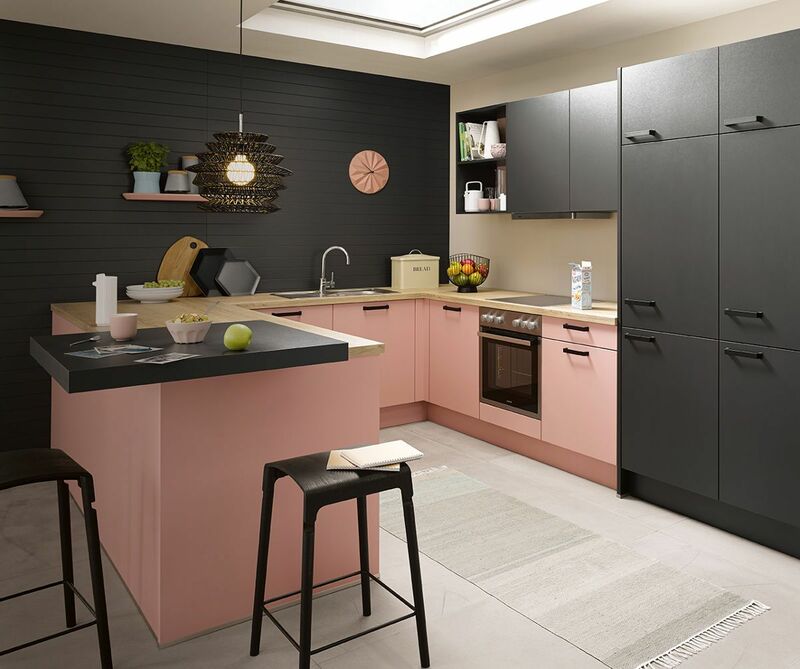 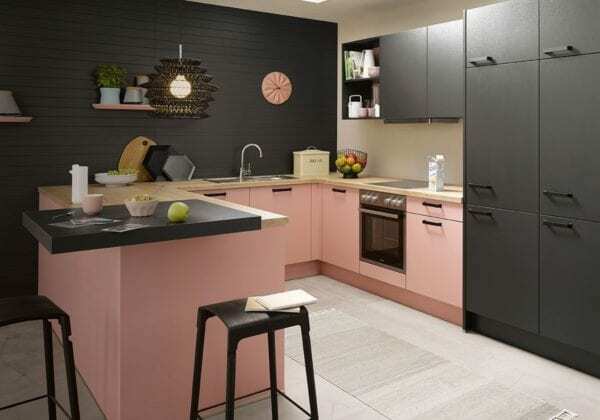 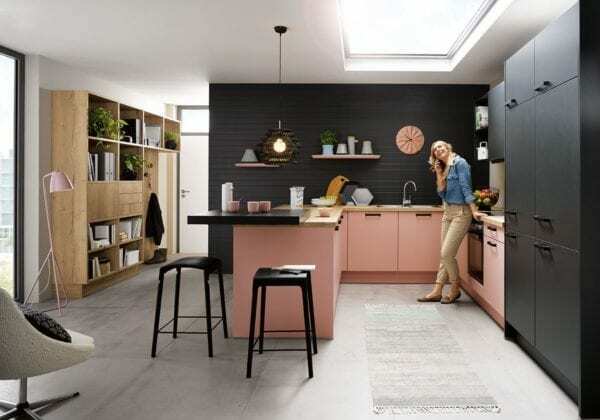 The kitchen features the extraordinary colour combination of pastel rose and Lava black. 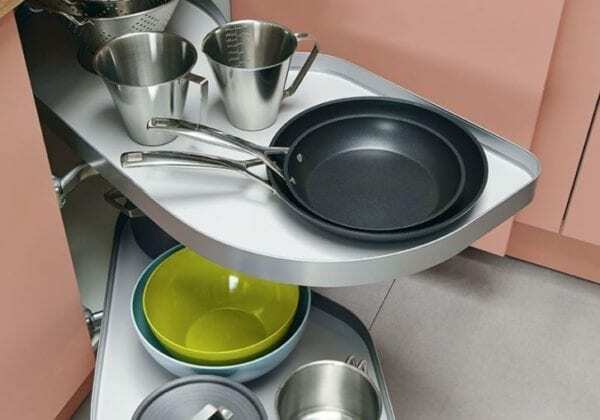 The variable drawer divider provides flexibility and space for kitchen aids. 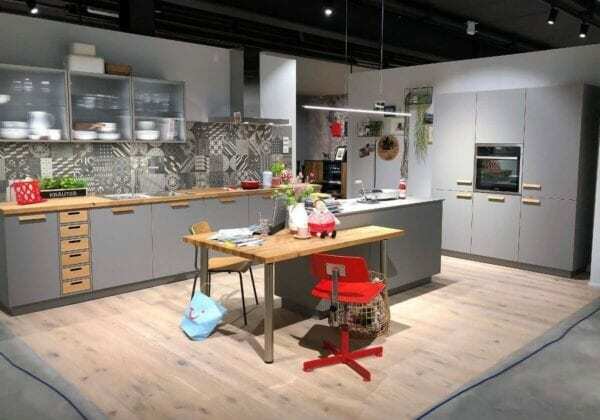 The movable bar adds to the flexibility and lends the kitchen a smart detail. 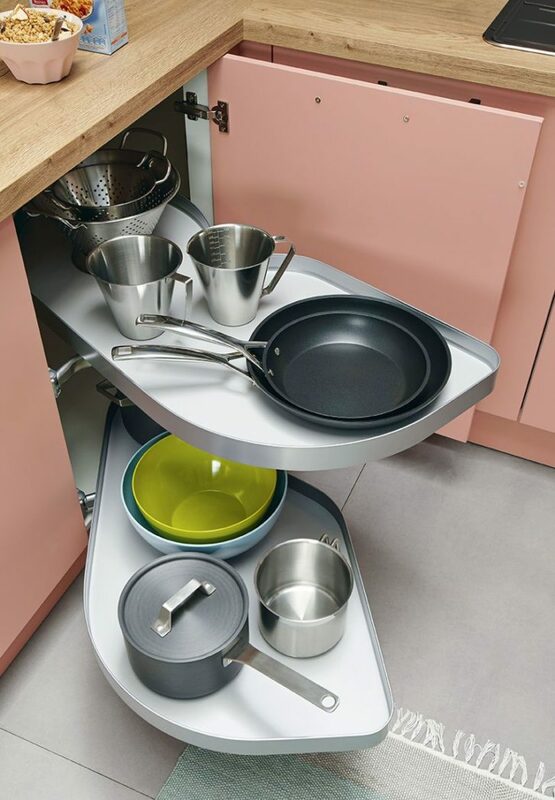 Thanks to the Le Mans corner pull-out mechanisms all your pots and pans are easily stored and yet immediately within reach.